Tom received his B.A. in English from San Jose State via Macalester College, his M.A. in Literature and Creative writing from the University of Minnesota and his Ph.D.s (Literature, Creative Writing) from the University of Houston. 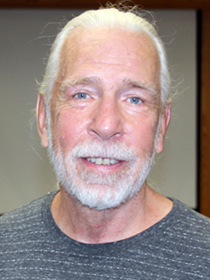 Before arriving at TSJC, he taught at UH, Texas A&M at Galveston, the University of Minnesota and the University of Wisconsin at Platteville, where he retired as an Emeritus Senior Instructor and spent the next ten years as a freelance writer. Tom moved to Trinidad a few years ago and now makes this terrific mountain community his permanent home.